You wouldn’t think it, but getting a good cup of coffee is harder than it seems–and sometimes you can taste the difference when it’s a pro doing the brewing….as opposed to you. Maybe you’re looking to cut down on your Starbucks or Dunkin Donuts coffee runs to save some money, or maybe you simply like the idea of sipping coffee in the convenience of your own home. Resolutions aside, even if you purchase quality coffee, you may notice that your cup of joe never tastes as good as when you order out. If that’s the case, you certainly aren’t alone. Food and Wine reported that more Americans are drinking coffee, and the trend has no signs of stopping. Though Americans have loved their coffee for some time, an estimated 64 percent of Americans reported drinking coffee on a daily basis, a notable 2 percent increase from the year before. But despite what it might seem like, there’s another trend brewing, so to speak: making coffee at home. 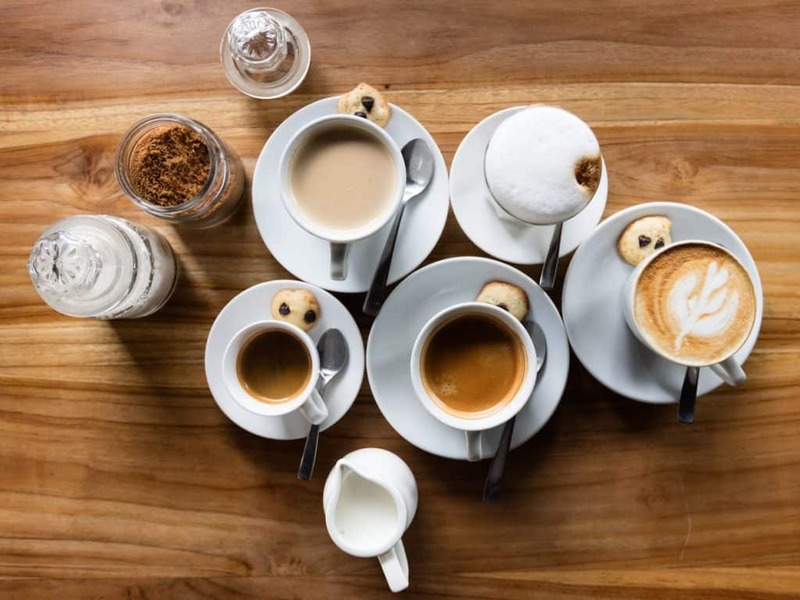 Just over thirty five percent of those surveyed reported getting coffee out recently, while around seventy percent enjoyed their coffee at home. And that’s certainly not a bad thing. There are many benefits to brewing coffee at home, including not having to pay extra for large cups; being able to customize and add whatever you’d like, and of course, not having to wait in line. You’ll also likely save a good deal of money, and it’s better for your health too. Even if you do still brew yourself a sweeter coffee drink, you’re likely to cut back on artificial ingredients and even more so sugar, which can take a toll on everything from your digestive system to your cardiovascular health. But there’s still undoubtedly a perception that there’s something special about a cup from a coffeehouse, whether specialty or franchise, that you simply can’t replicate at home. Making coffee is deceptively simple, but there’s a lot that could go wrong in the process, from scalding the coffee to diluting it too much and making it weak. If you are among those people who are trying hard to make coffee at home but are consistently dissatisfied with the results than this article is for you. We’ll be digging into a complete A to Z guide of terms you need to know to brew coffee just like a pro, plus dishing out a handful of tips for better coffee and mentioning common brewing mistakes. N: Natural Coffee, New Crop, New Guinea, New Orleans, Nicaragua. S: Single Origin, Speciality Coffee. For our A to Z guide, we’ve curated a list of terms that are helpful when brewing coffee at home, though they can be even, in some cases, used to understand what coffee you’re ordering. The idea behind our guide is to provide a glossary of terms that will put you on your way to brewing like a pro and producing better cups of coffee, but also so you’re more informed, if you aren’t already, about coffee techniques and terms in general. We’ll also be providing tips and tricks that are especially helpful if you’re new to brewing–no professional training required. Since most of our tips are centered around hand brewing, some may not be as applicable to automatic brewing machines. Even if you plan on using an automatic machine, however, we encourage you to read on. Knowing certain terms will help you pick out what kind of drink and coffee you want, and understanding the brewing process will help you even understand if you do or do not want an automated machine, and which one is right for you. Besides, it is possible to make mistakes, even with self serve machines. While by no means all inclusive, this A to Z Guide should provide you with some common and important terms to get you started brewing like a pro. There are many terms we could select for the first letter of the alphabet, but these seemed the most appropriate. Acidity and aroma refer to different qualities that affect the coffee’s taste and appeal, while Americano is a very common drink in the United States. Acidity is one the primary types of taste we perceive and directly impacts how something tastes to us. It comes in many recognizable forms in countless food and beverages, but acidity in coffee is a little different. Acid is produced during cyclical chemical reactions and partially dies during the brewing process. If a coffee is brewed for a very short time, you’ll taste more acidity, while longer and darker brews will have less. While it sounds like you’d want as little acidity as possible, this is actually not the case. Acidity actually adds flavor to food and beverages. Acidity should not be confused with bitterness, and it is actually a great complement to sweet notes (think about citrus fruit). Making good coffee requires balancing acidity, bitterness and body (more on those two terms next). Americano is a popular and simple choice. If you want bolder coffee but not quite an espresso, make yourself an Americano. It’s simply espresso diluted with water. You can adjust the strength to taste, making it more potent by adding more shots of espresso and weaker with more water. You can even do this if you have a home coffee maker and only espresso pods. Aroma: Aroma, of course, refers to the smell of the coffee. Smell has a direct impact on how we perceive taste. Aroma, which is different from taste, describe flavor notes such as citrus, floral, and warming. In order to understand what coffee you like, you need to be able to understand how to read coffee labels and take notes on what type of aromas appeal to you. Our entire selection for this letter refers to achieving the desired flavor notes in your cup of coffee. It’s important to note how these work together, specifically along with aroma and acidity, to create an overall flavor profile (see chart above for aromas and flavors). Without keeping all of these principles in mind, you might just end up with an okay cup of coffee. Taste preferences do of course vary, but getting to brewing like a pro takes understanding and experimenting a bit, perhaps, with these key principles. Balance: Balance refers to simple to the overall ratio of bitterness, body, aroma and acidity. The best balance is hard to achieve and depends on personal preference. But all coffee should at least have some notable presence of all elements. If not bitterness or acidity can be detected, for instance, you’re likely looking at a flavorless cup of coffee. Bitterness: Too high of heat will create too much bitterness. When we say coffee tastes scalded or burnt, you’re experiencing bitterness overtaking the flavor profile. While some bitterness is both needed and natural, you want it in subtle amounts. Brewing your coffee at 195 to 205 degrees fahrenheit is ideal. Body: If you’re a casual coffee drinker, chances are you may have heard of body but don’t quite know what it actually means. Body simply means the texture, or how the coffee feels in your mouth. Body depends on the type of coffee itself and can be described as light or full-bodied or somewhere in between. In addition to the coffee itself, body is impacted by the brewing process. Stovetop brewing, followed by espresso machines and fresh presses are best for getting a full-bodied cup if that is your preference. Some tops full body coffee types include Sumatra Mandheling, Kenya AA, and Guatemala Antigua. This section deals again with flavor, but also a neat technique used by pros to understand their brew. Complexity: Complexity is the different flavor notes and aromas in a brew that you can perceive at once. Brewing at optimal temperatures for the correct amount of time will improve complexity. Crema: Crema is a rich, foamy like substance on the top of a cup of coffee that can only be produced through a certain brewing process. It is caramel like in color and decadent in taste, but light on the tongue. You can use a pump machine, but even that is hard to achieve. Nespresso is one of the few machines known to produce Crema. Cupping: Cupping is a method pros use to sample different coffee. Coffee must be ground, if it is not already, and then placed in a cup with water. While it doesn’t, of course, provide the same taste as something fully brewed, it is a quick and easy sampling method to see if the coffee is of high quality and note its flavor. This letter is all about process and ways to make your brew right for you. Degassing: Degassing is not as strange as it sounds, and has everything to do with coffee freshness. The peak freshness of coffee is anywhere from four to fourteen days, which explains why, if you have a bag for a while, it may not taste quite as good. As time goes on, coffee loses some of its aromas and there’s a sharp decrease in carbon dioxide gas, both of which weaken the flavor and make it taste ‘less fresh’. Degassing is a natural process, so keep in mind that, while it will by no means make you ill, the best by roasting date does allow for optimal results. Buy smaller packages and make sure your coffee is tightly sealed. Drip Method: The drip method is actually used at most coffeehouses, and is also referred to as a pour over. It’s not ideal for optimal results but it’s a shortcut if you don’t have time to brew traditionally. Hot water is poured over roasted, ground coffee beans encased in a filter. Dry Process: Dry process is not something typically you would do, but it does describe the coffee itself. 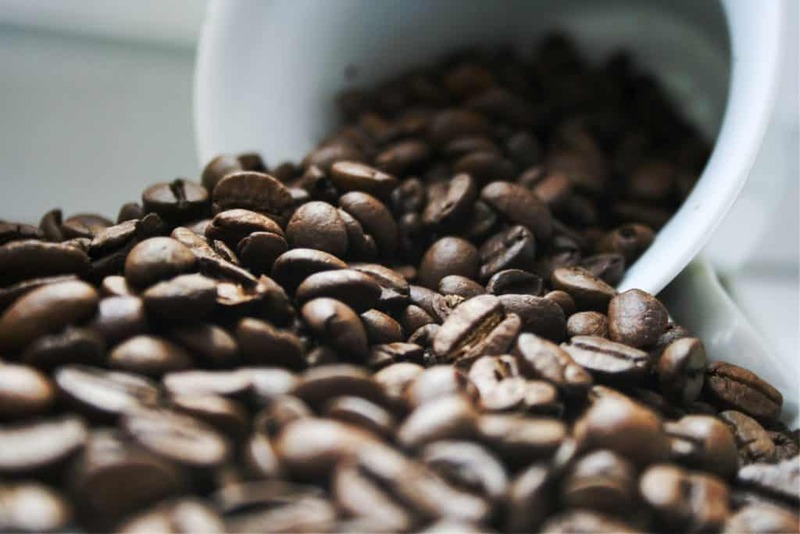 Coffee beans that have undergone a dry process are also referred to as ‘natural process’ and are roasted by having the fruit layout in the sun to dry. Dry process tends to produce more earthy flavors than the wet process and is commonly used in commercial coffee. While it can be an easy method, it can also be inconsistent in quality. Extraction. While we only have one term for this letter, it’s nonetheless an important one. For our purposes, extraction has a good deal to do with how weak or strong the coffee will be. Extraction is essentially drawing flavor from coffee beans by adding water at the perfect boil temperature. Under extracting makes for a sour taste, and over, a bitter taste. All of these terms should be likely recognizable to you and they’re great to know, and possibly incorporate, into your own brewing. Fair Trade: Any coffee that is labeled as fair trade refers to coffee that has been produced under guidelines and adherence to policies for economic sustainability and fair labor practices. There was been some mixed headlines as to how far these standards go, but it’s still a step better than other coffee. Filter: Filter Coffee is simply drip coffee made in glass or plastic, lined with paper, Though pragmatic, some pros do not like this method, as it may add unexpected flavors. Green Coffee refers to coffee that has not yet been roasted. Mostly coffee you can buy in stores has already been roasted,. Hard is a trade term, and heavy roast is more common to see, although not typically printed on coffee bags. If you’re going to a specialty store to purchase coffee, ask about both. Hard: Hard is a term you typically want to avoid when it comes to any coffee you might brew. Hard coffee is lower grade, mass-produced, and may even be tainted. Hard coffee should not be sold at all. Heavy Roast: Heavy roast is simply a term that can be used interchangeably with dark roast coffee. Heavy or dark roast coffee needs to be brewed a few minutes longer than lighter roasts. Beans are smoky-sweet, intense, and contain low acidity. Heavy roasts include double, French, Italian, and espresso. Italian Roast. See note above. Italian roasts tend to be smoky and sweet, take longer to roast, and have an intense flavor profile. Italian roasts are darker and slightly more oily than French roasts and are not necessarily produced in Italy. Java. Java is another name for coffee and refers to coffee’s history and origin. Java refers to the island of Java, which in the 1600s, was a central location where the Dutch began planting coffee. While it originally meant coffee that originated from Java, it now refers to all coffee. Kona. Kona is a very popular coffee of single origin from the coast of Kona in Hawaii, and its popularity is not unmerited. The better beans are praised for a balanced taste of medium body, moderate acidity, and a full and complex aroma. Latte, Latte Art: Lattes are almost very popular, and a way to enjoy coffee with a slightly milder and creamier taste. They’re also easy to prepare even if you’re not a pro. Latte Art: Latte Art is only something you need to worry about if you want to impress someone else with pro-like presentation. Latte Art refers to swirling the steamed milk foam on top to create different patterns and designs. You’ll want a shallow cup and a pitcher with a small stout to pour, preferably whole milk. Avoid any large bubbles. You can watch the linked full YouTube video for more techniques. Macchiato, Mocha. Again, these terms are related to different types of coffee drinks you can learn to brew at home. Chances are you’ve at least come across these terms. Macchiato: A macchiato, like a latte, is based on espresso and steamed milk, but the proportions are slightly different. Here, it’s two parts espresso to two parts steamed milk. It’s commonly called a ‘stained espresso’, for the splash of frothy milk on the top. Mocha: If you want espresso but a touch of indulgent sweetness, a mocha might be another drink you might be interested in. A mocha is made by combining brewed espresso with half a cup of milk, and just a tablespoon of cocoa powder per serving. To enhance the chocolate flavor, some renditions include a dash of chocolate syrup, but you want to add a bit at a time. Dark chocolate shavings over whipped cream make for an extra indulgent treat. While this seems like a long list, most are simple terms to refer to coffee types. Natural Coffee: See Dry Process, above. New Crop: This simply is trading terms that refer to what season the crop is in. Prices between new and old crop coffee vary, and you should not be too concerned in overall taste. New Guinea, New Orleans, Nicaragua: All of these refer to coffee origins and types. New Orleans may include chicory coffee, in which chicory root is roasted and tastes like, but is not actually coffee, though there is also New Orleans coffee. Nicaraguan coffee is smooth with ‘mild and distinct acidity’, while New Guinea coffee is described as full-bodied, a little earthy, a touch of fruity notes, and with mild acidity. Organic. Organic coffee, like any other food labeled as organic, must be certified as being grown to organic standards and very low or close to free of fertilizers and pesticides in the growing process. While organic coffee is healthier for you, especially if you drink regularly, it definitely will come at a higher price. Puerto Rican: This coffee is not as well known as Costa Rican, but its ‘vibrant acidity’ and softly rich flavor. However, it suffers from inconsistency in both flavor and quality. Processed: Chances are you’ll be dealing with processed coffee when you brew. Processed coffee is any coffee that is ready to brew. The most common kind, wet processing, involves pulping the outer skin of the fruit. Quaker. This is a technical term that even a pro may not know, but it refers to a defect that causes some coffee beans to appear lighter in color. If you buy coffee that has uneven colors, chances are it might have this defect. Knowing the roast type and date is pretty important when it comes to ensuring you get the best roast per your preferences as possible. Roast: Roast refers to the heating process to make coffee beans ready to brew. It would be unusual to buy coffee that has not already been roasted. The darker the roast, the darker the color and flavor intensity. Roast Date: The roast date refers to when the beans were roasted. Roast dates can give you a general guideline for when coffee will be at its freshest; try to use within 4 to 14 days of the roast date if possible. Single Origin: This term simply means the specified coffee comes from a place of single, rather than multiple origins. Specialty Coffee: Specialty Coffee refers to coffee that has been taking through an unified process with attention and is of single origin. Tamper. Tamper is a term associated with a pestle device that is used to distribute and compress espresso beans evenly. Buying one can help improve the quality of espresso if you start with whole beans. Uganda. A lighter body and less complex flavor than other African coffees, it is known for its signature acidity. Vintage Coffee. Also known as aged coffee, it is held longer than normal in a warehouse. Your best bet for a brew like a pro is to avoid vintage coffee and only use coffee with a clear roast date. Washed coffee is the same as wet processed (see processed above); whole bean refers to coffee that has not yet been ground. Zimbabwe Coffee is prized for a complex, rich flavor, with a medium body and pleasant aftertaste.